Whoever said that art and science don’t mix is in for a shock. 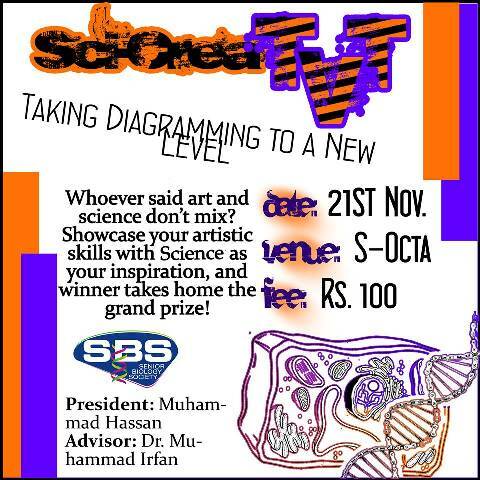 Senior Biology Society presents Sci-CreaTVT, an event that aims to take diagramming to a whole new level. Participants will showcase their artistic skills with Science as their inspiration, and the winner will take the grand prize home. This event will take place on Friday 21 November 2014 in S-Octa. Register yourself at the SBS stall at S-Entrance now. Note: Students from all departments are welcome. Certificates will be given to all participants.